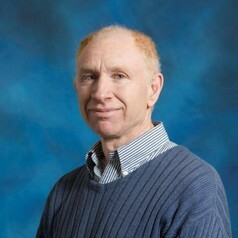 Scott Morgenstern is a Professor of Political Science, and has been at the University of Pittsburgh since 2005. He served as the Director of Pitt's Center for Latin American Studies from 2014-2018. His research focuses on political parties, electoral systems, and legislatures, with a regional specialization in Latin America. He has authored two books: Are Politics Local? The Two Dimensions of Party Nationalization around the World (Cambridge University Press 2017), and Patterns of Legislative Politics: Roll Call Voting in the United States and Latin America’s Southern Cone (Cambridge University Press, 2004) He has also edited and contributed to three books, Legislative Politics in Latin America (Cambridge University Press, 2002). Pathways to Power (Pennsylvania State University Press, 2008), and Reforming Communism: Cuba in Comparative Perspective (University of Pittsburgh Press forthcoming, 2018). His articles have appeared in the Journal of Politics, Comparative Political Studies; Comparative Politics, Party Politics, Electoral Studies, Review of International Political Economy, and other journals. He was also the primary investigator on a grant from the USAID to produce documents related to their political party development programs. His recent courses at the undergraduate level have included US-Latin American Relations, Building Democracy and its Institutions, and Latin American Politics. At the graduate level he teaches Comparative Legislatures and Latin American Politics.